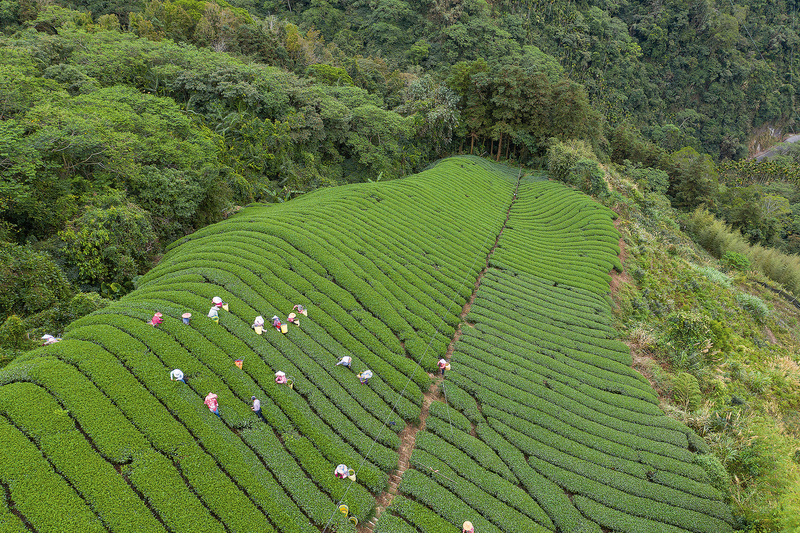 Taiwan is one of the world’s foremost tea producing areas. How can foreign tourists best experience the island’s ubiquitous tea culture? 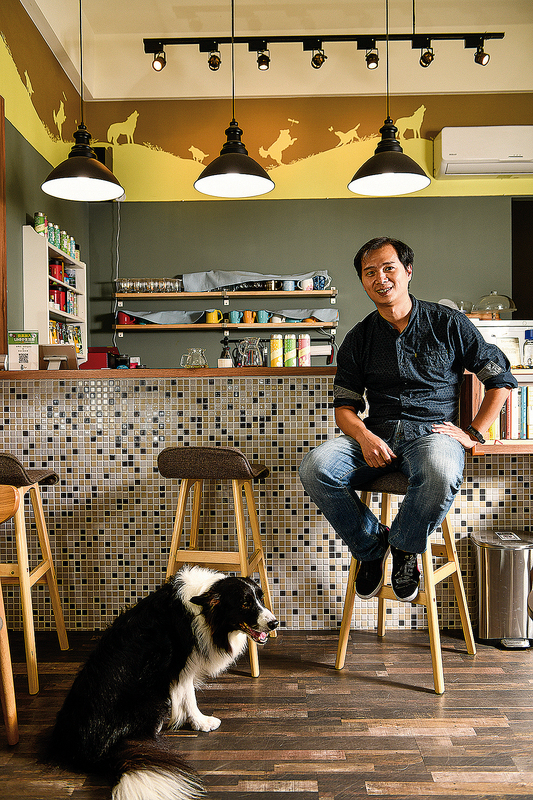 Ateliea Tea, quietly nestled next to the park at the popular tourist destination of Yong­kang Street in Tai­pei, regularly finds itself packed with people within moments of opening each morning. Looking in, one is struck by the colorful jars full of tea that line the shelves on the back wall—rouge ones that hold fully fermented teas like regular black tea and tie­guan­yin, light yellow ones with semi-fermented teas like oo­long, and cyan ones with unfermented teas like bi­luo­chun and bao­zhong. Dozens of varieties of tea are available, sketching out a map of Taiwan’s tea terrain to delightfully tempt travelers. 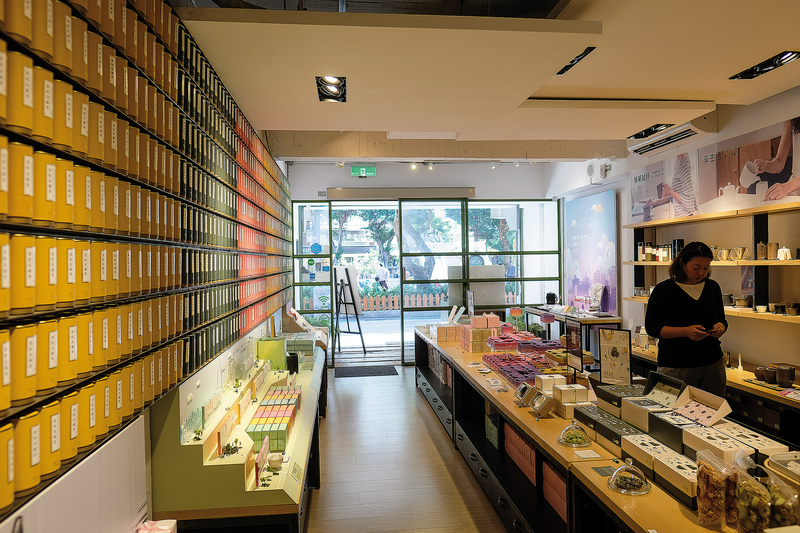 Ateliea Tea aims to promote Taiwanese tea to the younger generations, and so alongside its dazzling array of single-origin teas, it also offers other innovative efforts that seek to blow the cobwebs off traditional tea culture. For instance, traditionally speaking, blended teas have been regarded as second-­class citizens of the tea world. Ateliea Tea, however, has no time for that opinion and provides a number of exclusive blends of its own creation. Such blends lack the sharp edges of single-­origin teas, boasting a more rounded, pleasant personality. “With these,” says project manager Anny Wang, “you can enjoy the aroma of a green tea with the aftertaste of a black tea.” As she says this, she gestures toward a purple jar of “Tai­wan­lang,” a blend of Ali­shan jade oo­long and Sun Moon Lake black tea, one of their signature blends. On top of this, in 2018 Ateliea Tea joined forces with Japan’s Tsu­jiri to produce “Tai­pei Green Matcha,” a blend of four seasons spring green tea from San­xia (an iconic Taiwanese tea) and Japanese matcha. Drinking it, one is first struck by the gentle scent of green tea, and as it goes down, the calm, introverted flavor of the matcha gradually comes forward. It truly is the best of both worlds, exactly what one hopes for from a blended tea. 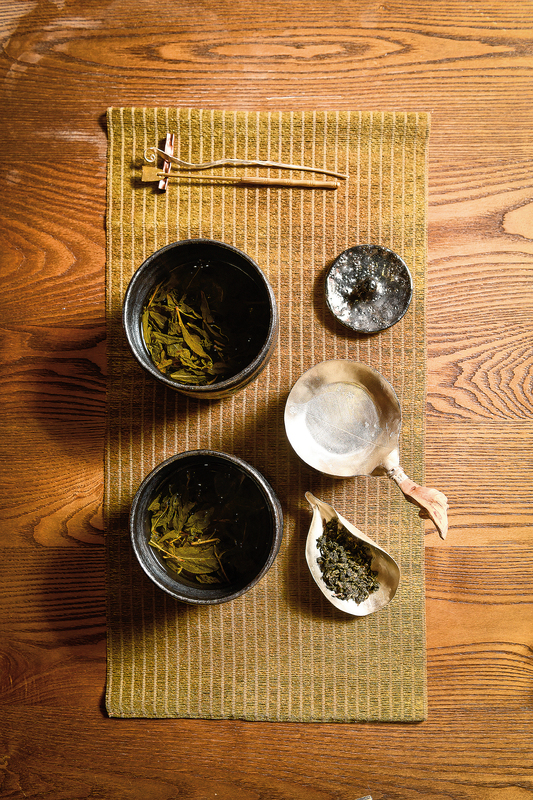 While blended teas may still be quite unfamiliar to Taiwanese, it’s a different story abroad. Blending teas not only with other types of tea, but also with flowers, fruits, herbs, and even things like caramel or chocolate has long been a big part of the overseas tea industry. The origins of this can be traced back to just after the end of World War II. With sales having fallen off during wartime, tea was largely being reintroduced to the market, and with much of it having spent quite some time languishing in storage, tea sellers in the West began to add a few other elements to mask the less-than-­appetizing taste of their stock. With people eager to shake off the gloom of war, these “fresh” new flavors were just the ticket, and a trend was born. Today, such blends are no longer saddled with the bad name of past, inferior teas. Some of the most renowned brands are famous for their exclusive mixes, which are not only hot sellers, but also often the talk of the town among tea lovers. While tea may have become an international beverage, in Taiwan, single-origin teas remain the top dog, with many people still looking down on blends as inferior. “The main reason Taiwanese are so used to drinking single-origin teas is that Taiwan is a tea producer,” opines black tea expert Kelly Yang. Teas like Da­yu­ling, Li­shan, and Shan­linxi alpine oo­longs are readily available to local tea drinkers, who visit the tea-growing areas in search of different varieties according to their own preferences. All the family sitting around the old wooden table at grandma and grandpa’s, chatting over hot tea, is a common memory shared by most Taiwanese. Injecting new life into Taiwanese tea, though, is going to mean forging a new, broader path away from the association with the old folks. Just as boba tea has taken the world by storm, a similar “additive” approach could be the key for blended teas. 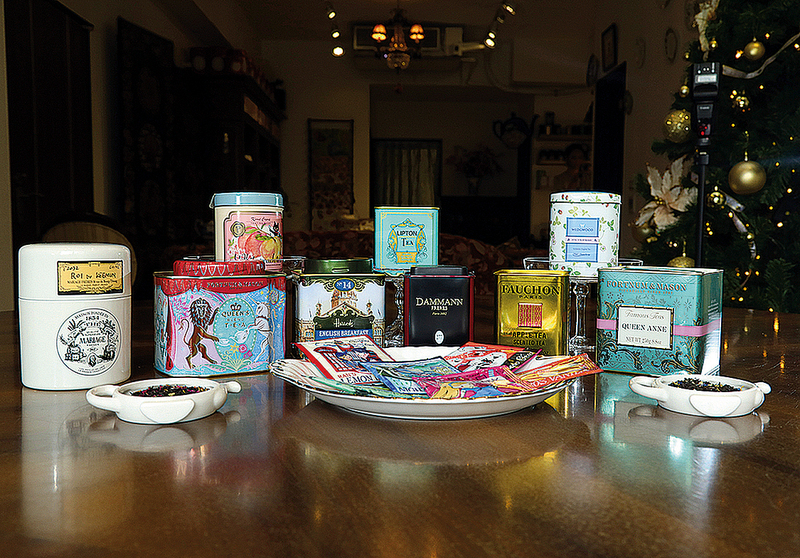 Ateliea Tea is not alone in its effort to revitalize Taiwanese tea. One rainy morning, I made my way to Eighty-Eightea Rin­ban­syo in Xi­men­ding, Tai­pei. Located in a teahouse next to Ni­shi Hon­ganji Plaza that in a former life was home to a Japanese Buddhist abbot, Eighty-Eightea offers a precious few moments’ Zen in the middle of an area thronging with tourists. Built around iconic Taiwanese teas, the venue aims to provide an alternative tea-brewing experience that will help travelers shake off the troubles of daily life. 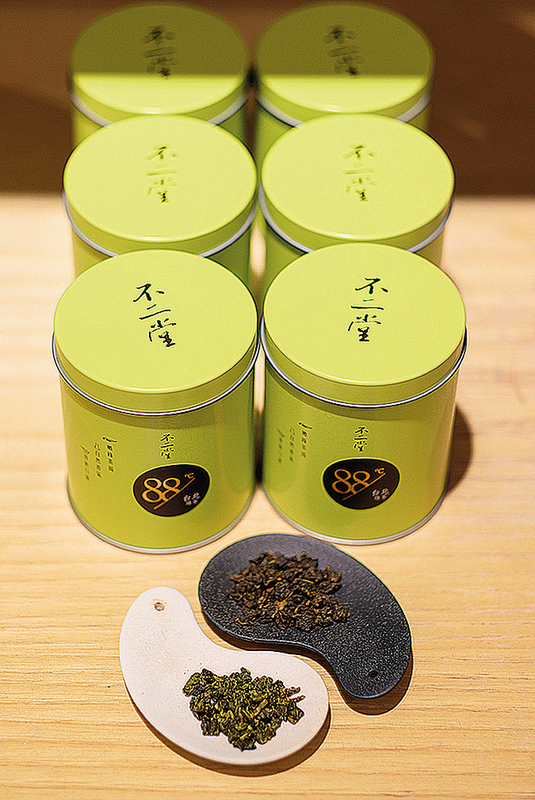 It also offers nearly 30 different blends based on Taiwanese-grown oolongs, black teas, and green teas. These are mixed with osmanthus, Yu­lan magnolia, and rose, or for the more adventurous, top Taiwanese fruits like bananas and mangoes. There are also plans afoot to produce blends with ingredients from Atayal cuisine like tana (Zanthoxylum ailanthoides) and maqaw (Litsea cubeba), and even with Taiwanese cypress and Taiwan incense cedar. In ancient China, there was a technique for producing floral teas known as “xun,” and in recent years a few young people have begun working to revive this nearly lost art. One such group is at Eighty-Eightea Rin­ban­syo, but there is another, Dings Tea, situated in the tea growing heartland of ­Chiayi. Whereas makers of Western blended teas largely create a floral accent by misting the tea leaves with essential oils and then mix in a scattering of petals and dried fruits for the aesthetic, “You can’t do that with Taiwanese teas because of the high humidity—fresh petals would go off too quickly, and fruit would attract bugs.” As he says this, Dings Tea boss Mitch ­Chung opens a jar of their own floral tea, which is visually almost indistinguishable from ordinary tea. 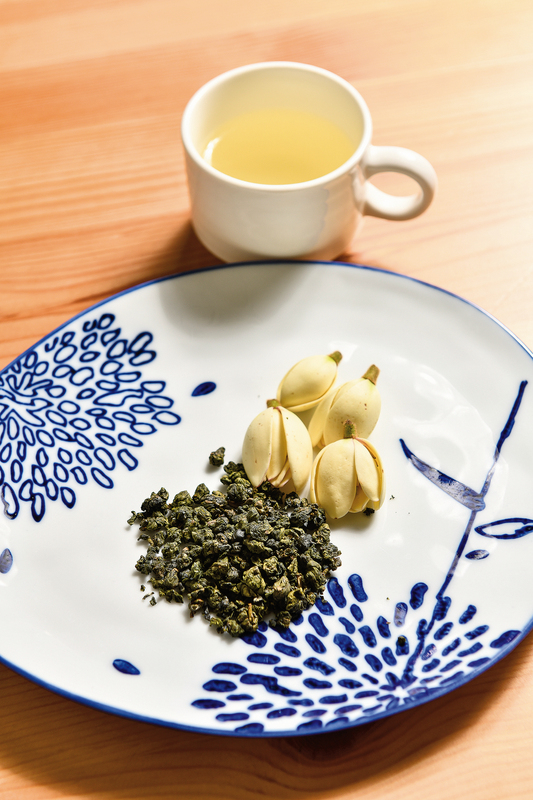 According to information ­Chung has found, traditional xun tea-making involved first sifting out the stems and calyces of the flowers to avoid them being mixed in with the tea and impacting the flavor, and then layering flowers and tea before heating them to blend the flavors. The high temperature helps release the scent of the flower petals, but it can also make the tea leaves go soggy and ruin the final product, and so when making xun tea, it is crucial to precisely control the temperature. After three to five cycles of heating, cooling and drying, the flower petals are then picked out of the tea by hand to finish the process. Dings Tea produces three varieties: osmanthus, ginger flower, and magnolia figo. What springs to mind first for most people when they hear “floral tea” is probably jasmine tea, largely because in Taiwanese tea tradition, such teas have long been on the margins, or even the subject of rumors that only “second-rate” tea would need to be “spiked” with flowers. In what some would consider a rebellious act, ­Chung has chosen to use the alpine oo­long from his family’s tea garden, located in ­Taihe Village in ­Chiayi County’s Mei­shan Township, as the base for his flower teas. 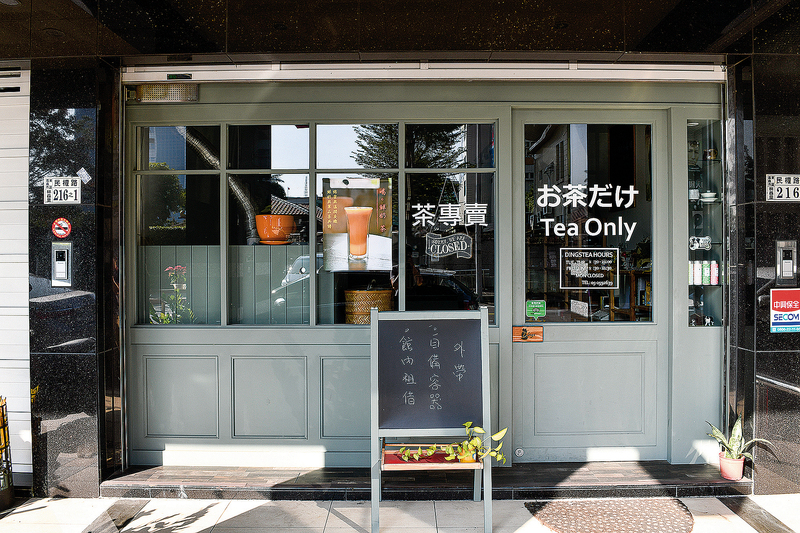 It was through these unique specialty teas that he was able to open a teahouse of his own and still carve out a niche for himself in downtown ­Chiayi City despite the area’s abundance of teahouses and cafes. With notes of apricot, banana, and pine­apple, osmanthus and magnolia figo are excellent fits for the creamy aroma of a jin­xuan oo­long, while the warm, spicy scent of ginger flowers makes for a great match with the refined elegance of a qing­xin oolong. Chung used to have a love‡hate relationship with his family’s tea garden. As a child, he couldn’t spend his vacations goofing around with his friends, instead being press-ganged into working with his family in the tea garden. “When I was testing into university, my first priority was to get into one as far away as possible from that place,” he says. It wasn’t until the devastation of Typhoon Mo­ra­kot almost a decade ago that he finally came home to take the reins of the garden. 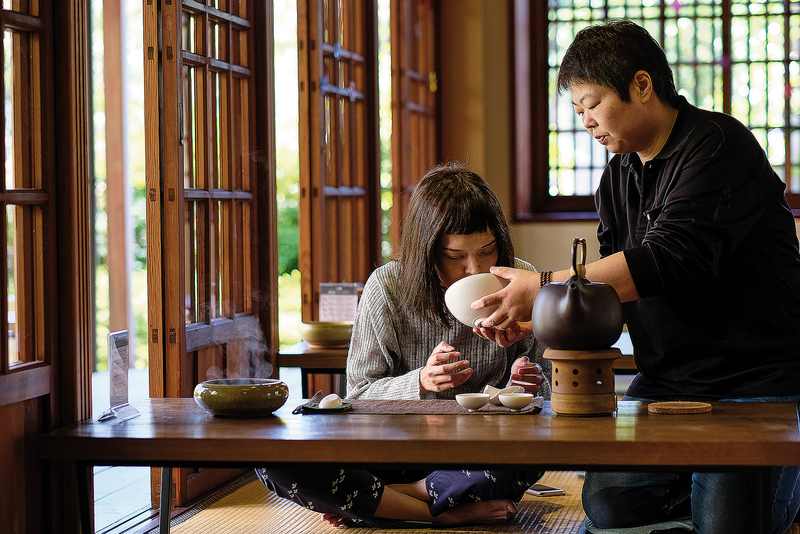 He chose a different path from that forged by his father, though, promoting a personal brand of tea, trying to revive a near-lost tea-making technique, and opening a small teahouse. For a while, their different attitudes led to clashes between father and son, but today, the little boy who couldn’t wait to escape the tea garden has finally embraced it wholeheartedly.